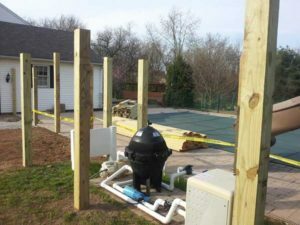 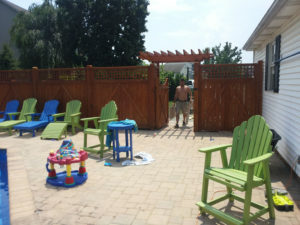 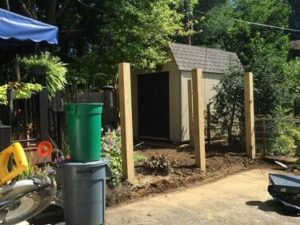 Here we have pictures of a custom fence and pavers installed. 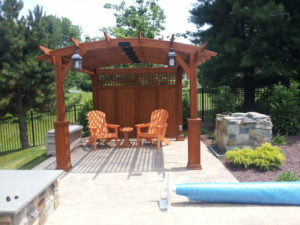 The pavers were placed around the entire pool area. 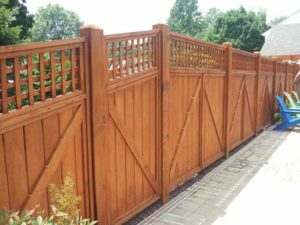 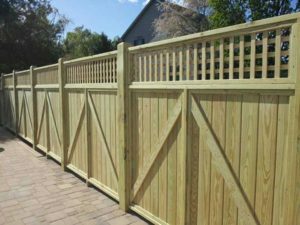 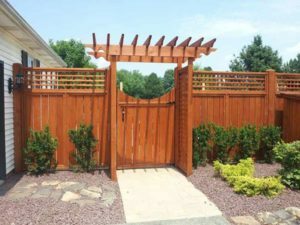 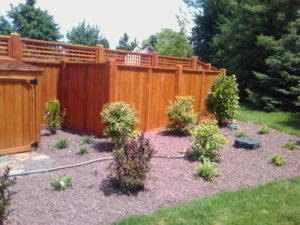 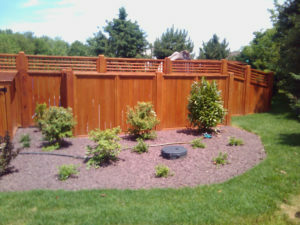 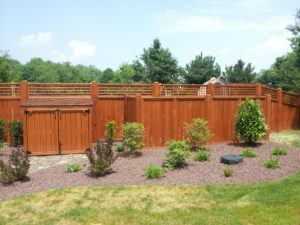 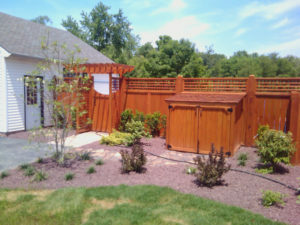 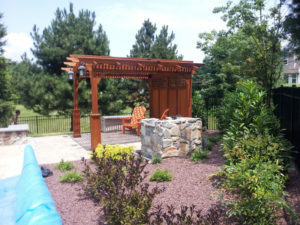 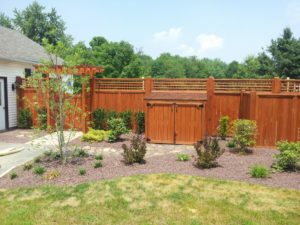 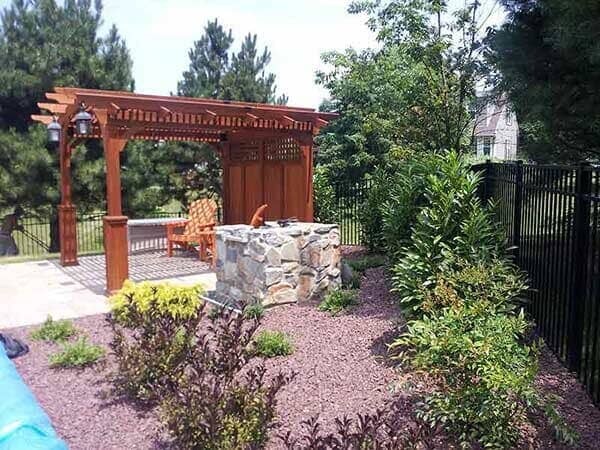 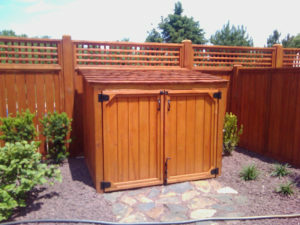 We then designed and installed the wood fence for this customer. 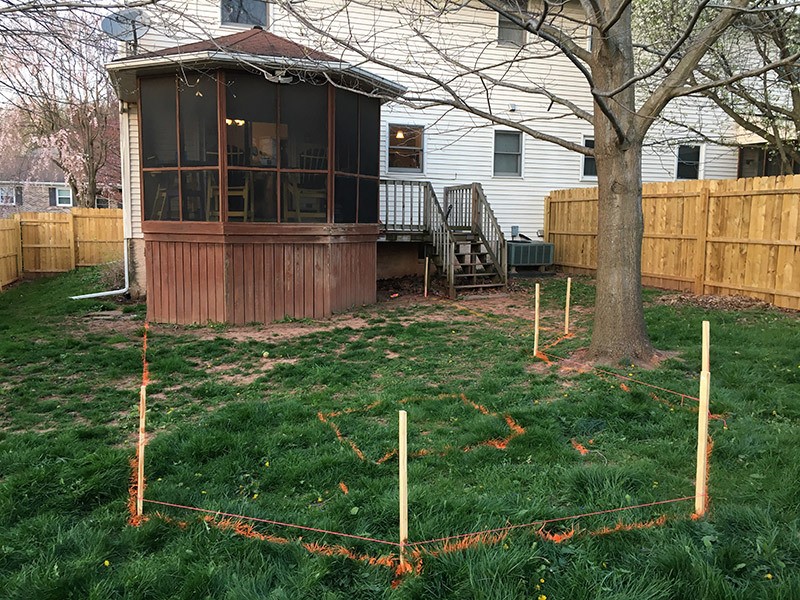 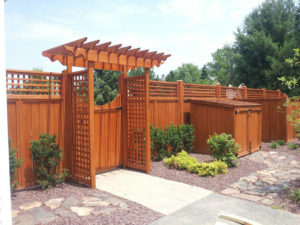 We hand cut all the lattice and framing for the wood fence, gate and pergola. 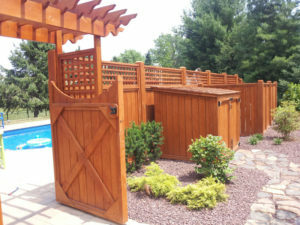 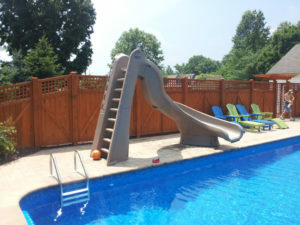 The aluminum fence was then put up around the entire pool area for safety purposes. 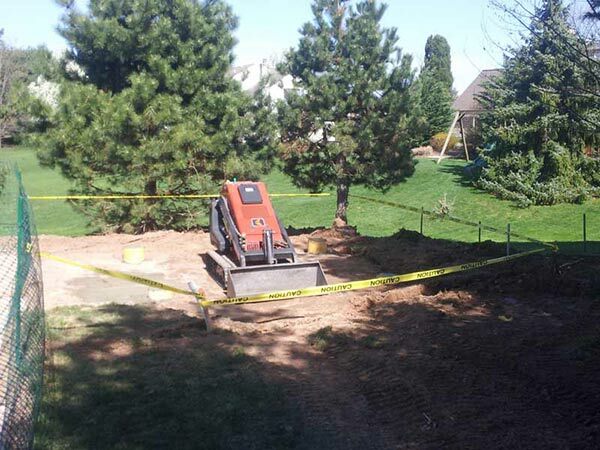 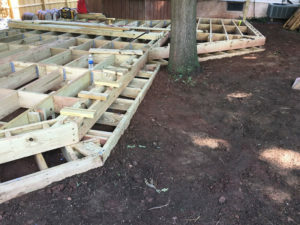 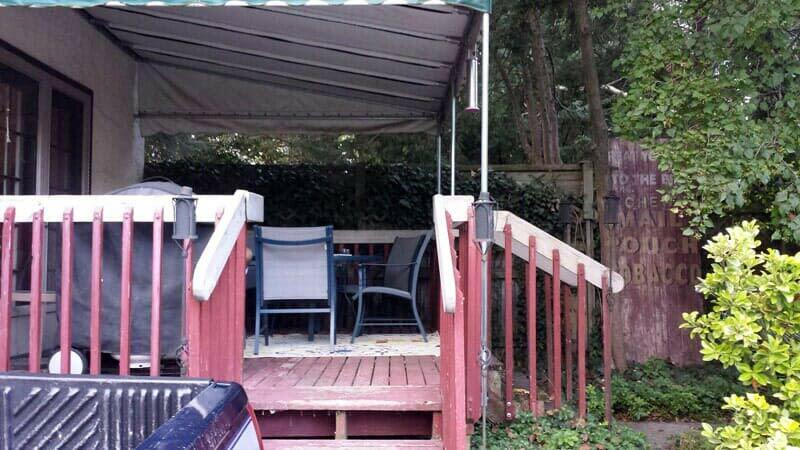 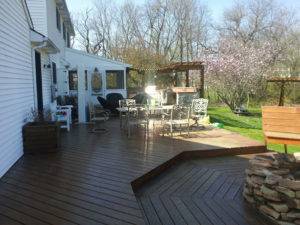 This old deck which was deteriorating was completely removed. 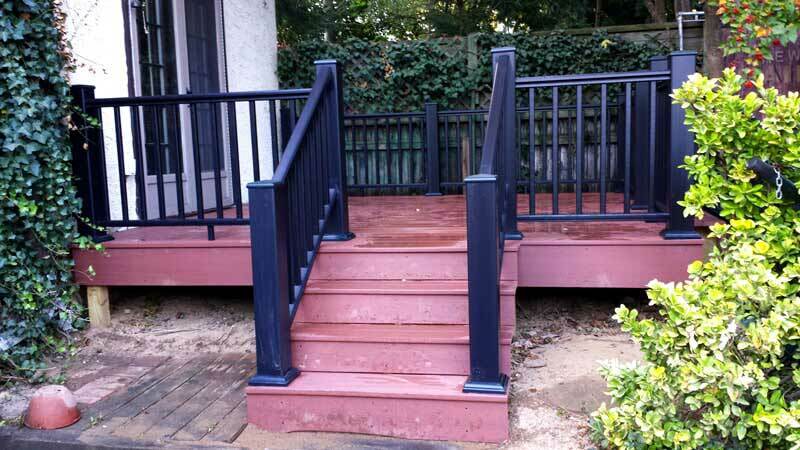 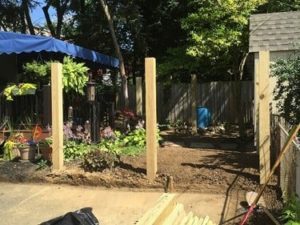 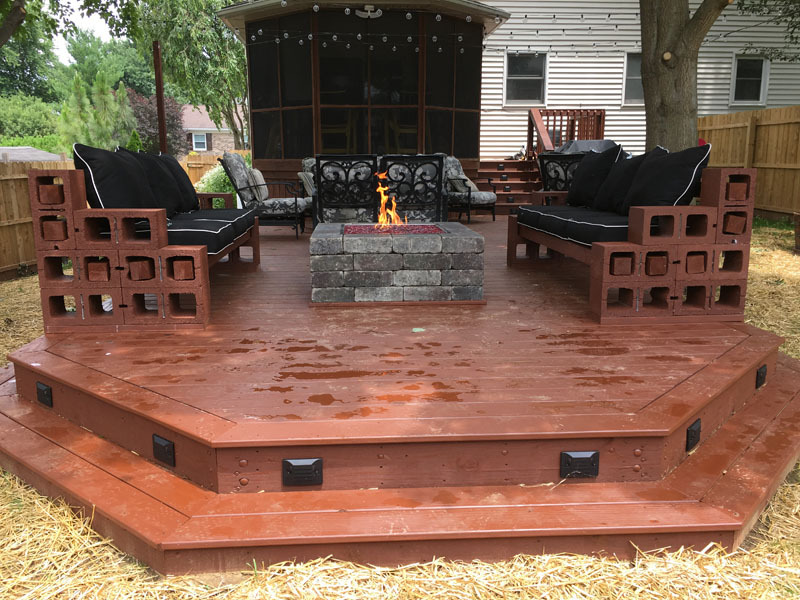 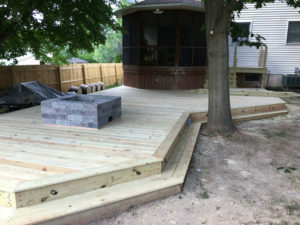 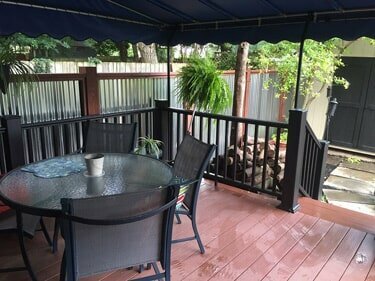 New posts were set in concrete, treated framework was installed, and all composite decking, railing and fascia boards were used to make this a maintenance free deck that will last for many years to come. 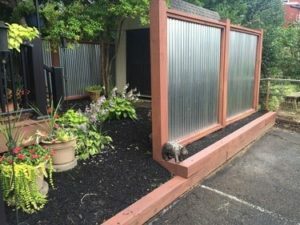 This fencing was designed and built to match the customers needs. 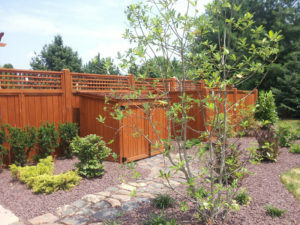 They now have beautiful wood fences that not only serve a great purpose but look awesome doing it! 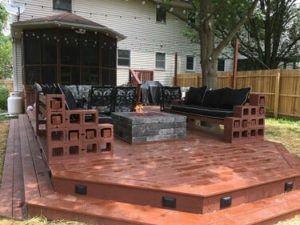 This deck was built as an area for gathering and great nightlife! 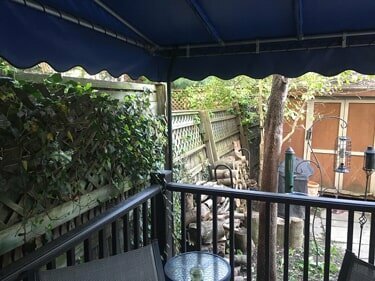 It is around 500 sq. 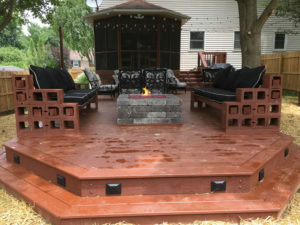 ft. with continuous steps surrounding the entire deck. 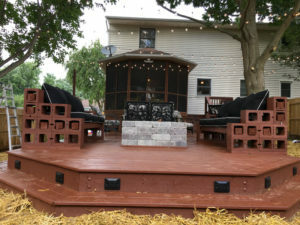 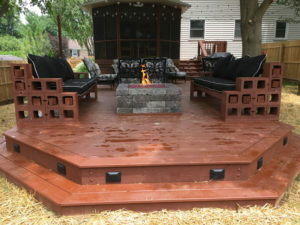 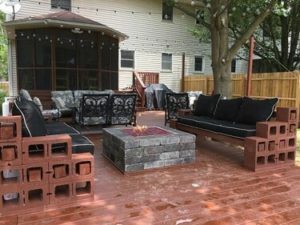 On the 3 sided step-out we built 2 custom outdoor sofas and installed a propane firepit in between them. 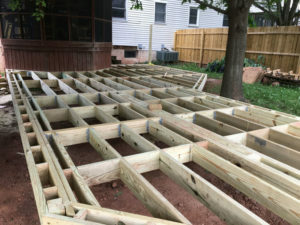 The deck got approx. 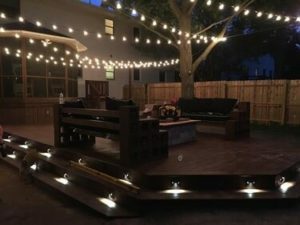 30 low voltage accent lights installed in the steps and 200 overhead string light bulbs that light this deck up beautifully on any evening of the year.